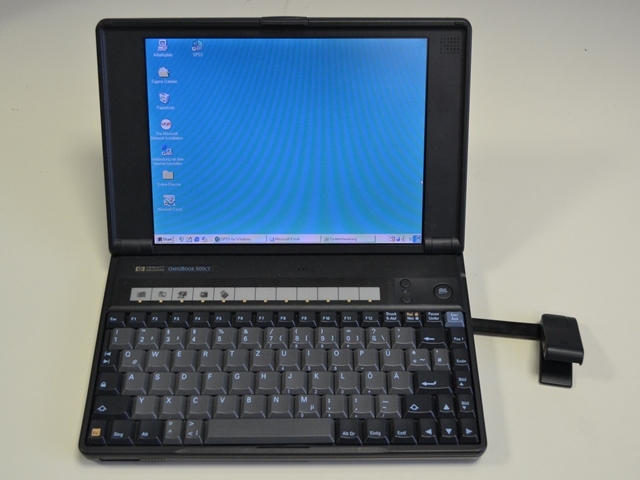 The HP Omnibook 800 CT was one of the last �subnotebooks� built by HP until the introduction of small-size laptops in 2008 marketed as �netbooks�. 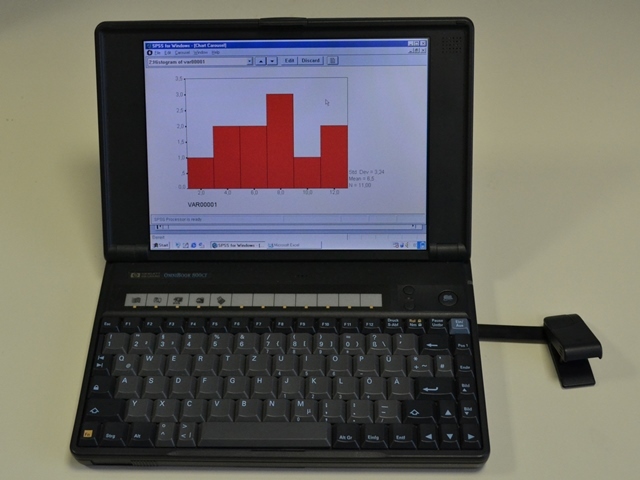 Despite of its size of 10� and light weight of 1.7 kg, the laptop is equipped with a 133 MHz Pentium processor and 32 MB RAM. 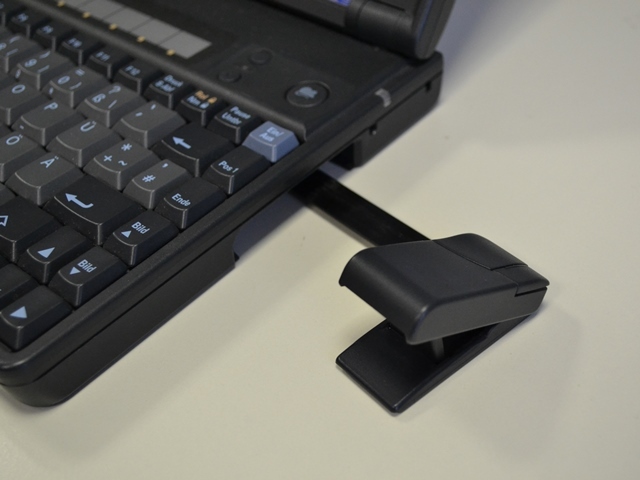 It features �instant-on power�, which quickly saves the screen before powering off and therefore allows to restore the last active state immediately when the �instant-on� button is pressed.